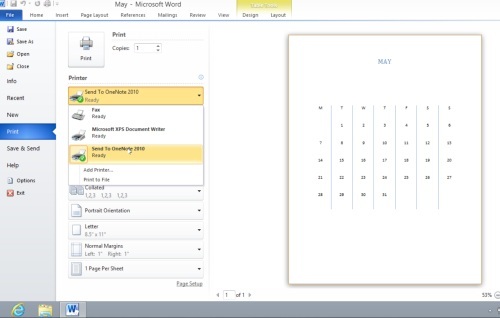 In this video tutorial we will show you how to send Word document to One Note. In order to send word document to one note you must open a Word document. Go to the file menu and choose “Print” tab. 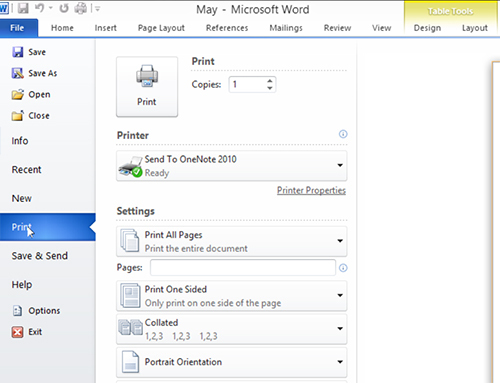 In the printer menu click on the available printers list and choose “Send To One Note 2010″ from drop-down menu and press “Print”. In the displayed window click “ОК”. Your Word document has been sucessfully sent to One Note.